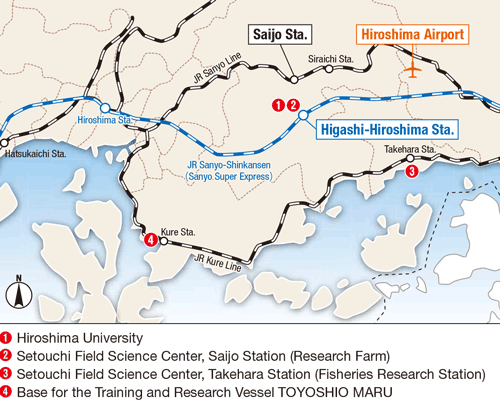 The nearby airport from Hiroshima University is Hiroshima Airport. Please take a bus to "JR Shiraichi Station" from Bus Bay 1 (for 15 minutes), and then change to any westward train to "JR Saijo Station", which is the second stop from Shiraichi Station. From bus stop 3 in front of Saijo Station, bus service is available to Hiroshima University about every 15 minutes. 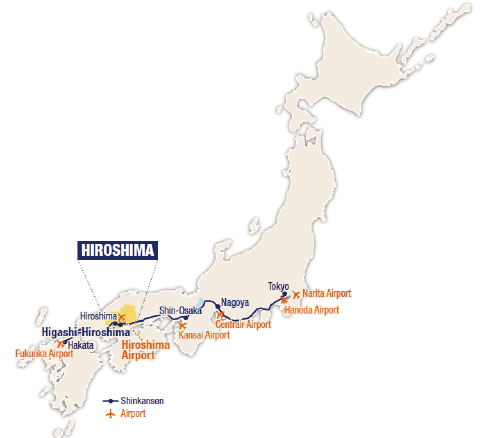 The nearest station of Shinkansen Line to Hiroshima University is Higashi-Hiroshima, where only Kodama Express is available. There is a very limited bus service to the Higashi Hiroshima Campus from the Station. (3 times a day from Monday to Friday. No bus service is available on Sataurday, Sunday, and national holidays.) Taxi service is always available (aprrox.1,700 yen).